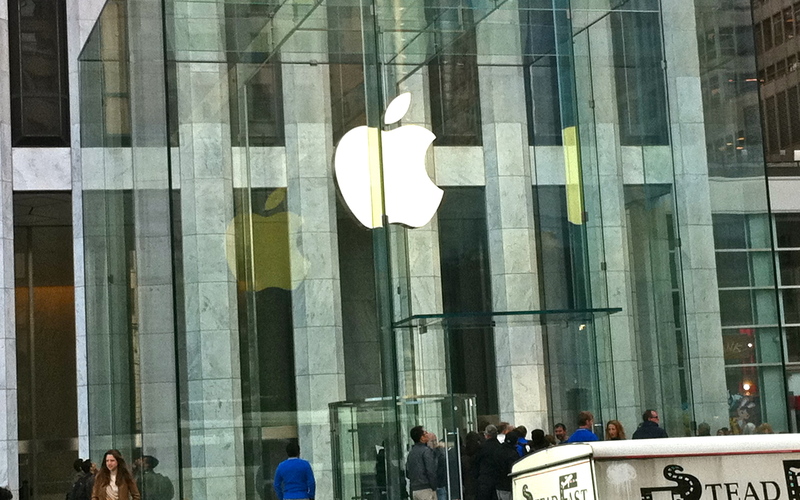 Apple’s flagship 5th Avenue store finally emerged from its reconstructive shell yesterday morning. The iconic glass entrance to the subterranean shop got itself something of a modernist facelift. Where once there were 90 interlocking panes of glass there’s now just 15. It’s the Apple ethos distilled: spare, simple, and oh so elegant.